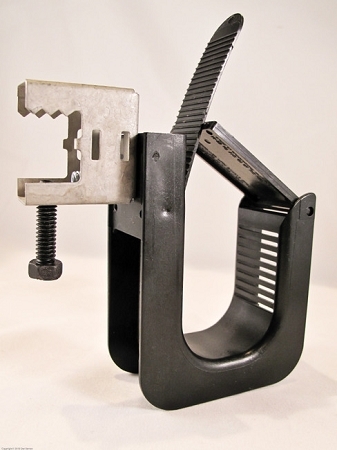 Our Cable Hanger is available with a beam clamp attachment, made to order. 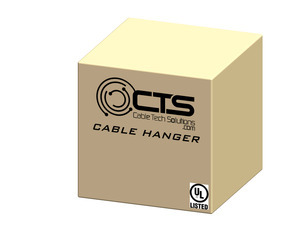 Innovative patent pending low voltage cable hanging hook (J-Hook) designed to save your company time and money. No need to go up and down the ladder - it's all there! Hinging and locking top to secure cable in the hook during cable pulls. Nothing to drop on the floor like our competitor's hooks! Built-in tie strap to secure cables to the hanger, or stands vertical if you decide not to use it.